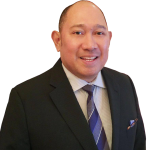 Victor Andres (“Dindo”) Manhit is recognized as one of Manila’s most well connected and savvy advisors on developments in government and business in the Philippines. Prior to becoming managing director for BGA in the Philippines, he worked as country manager for BrooksBowerAsia. Manhit is also the founder and managing director of Philippine Stratbase Consultancy, Inc., and president of its policy think tank, Stratbase Research Institute. Since 1991, Dindo has served as a member of the faculty and is the former chair of the Political Science Department and a senior fellow of the La Salle Institute of Governance at the De La Salle University, Manila. He has authored numerous papers on good governance, political, electoral and educational reform. He specializes in strategic public management, legislative research, political intelligence and governance reforms. Dindo served as under secretary for External Affairs and Special Concerns of the Department of Education, Culture and Sports from 1998 to 2001 and deputy secretary for Administration and Financial Services of the Philippine Senate from 1996 to 1998. After he left government service in 2001, he became involved with different consortiums and networks of civil society groups pushing for reforms in the areas of governance, elections, government procurement and constitutional change. Dindo has extensive experience in policy and legislative research, having worked in Congress for several years as a chief of staff and senior policy research consultant in a host of committees in the Philippine Senate. Dindo earned his master’s degree in public administration and a bachelor’s degree in political science and history from the University of the Philippines.